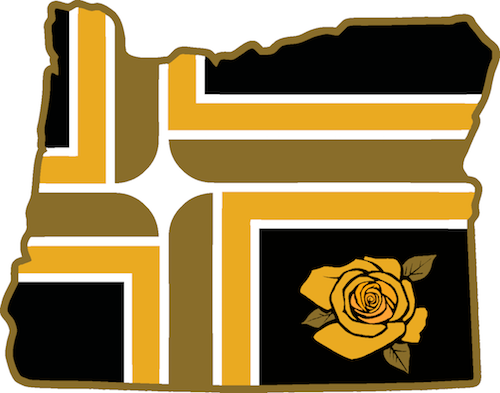 Founded just a couple years ago, the black & gold team from Portland, Oregon helps us kick-off a very special month of NPSL coverage as we gear up for the 2019 season. As Protagonist Soccer moves from the West, where the league’s roots lay, to the conferences in the east, we’ll celebrate the clubs who are often the face of soccer in their communities. We reached out to Head Coach and Co-Owner of PDX Football Club, Luke Babson, to see how they’ve been able to slowly carve out their own niche in the self-proclaimed Soccer City USA. He obliged with some wisdom and a look into how a small club can have a big vision and patiently stick to a plan to grow in meaningful steps. Portland, Oregon seems like a daunting place to set up a new club, with the MLS clubs dominating the Pacific Northwest soccer market, what led you to start a new club in this region? What's the primary focus of this team, if it’s not competing for a market share? We have never viewed ourselves as in competition with the Portland Timbers or other MLS clubs. The game is big in the Pacific Northwest, but it is still growing. There isn’t any reason why a Timbers supporter can’t also support PDX FC, or vice versa. We are just working to carve out our niche to build something valuable for the soccer community. From a players’ perspective we provide an opportunity to compete in an elite league and to gain exposure. We provide a training and match environment that will prepare them to take the next step in their career. For some, this means to improve for their upcoming college season, while others have their sights set on a professional contract. From a supporters’ perspective, we provide an opportunity to watch high level soccer at a low cost. You can catch a glimpse of some of the nation’s most elite prospects and future professionals. Our players and staff are accessible within the community. Our roster consists of a good percentage of players with local roots, and it is really special for them to be able to play in front of friends, family, and community supporters. Why NPSL? What does the league offer that separates it from other options? Fans of Lower League soccer, and NPSL in particular would love to see a club from this region in the PRO division--have you considered it? What would it take to get there? The NPSL is a national league that has grown tremendously in recent years. The league is well run and has a strong vision for the future. When we did all of our research, it became very clear that the NPSL was the right fit. We are really excited to now have a PRO option within the NPSL. There are a number of teams that have proven they were ready to make the jump to being fully professional and this is what they needed. The league wants to grow the professional division in the future and it is possible that we could consider it, but we would have to drastically change our business model. My brother and I own the team and we aren’t multi-millionaires. We would need a budget of around $500,000 per year to go pro. So, this would require some sort of combination of attracting additional investors, sponsors, and creating more revenue. The club and coach have a growth mindset but are very aware that the club is not yet in a financial position to take on the brand new NPSL Pro division. 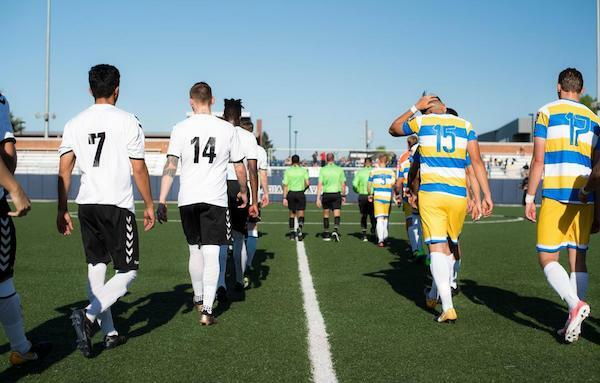 Your cross-town NPSL "rival" made it to the NPSL Semi-Finals last year, losing in heart- breaking fashion--but qualified for the USOC in the process. How much of a rivalry is there really? Do "derbies" really matter at this level, or should all clubs be working together to ensure their continued existence? Is getting to the USOC a dangling carrot or a daunting financial crisis? It is definitely a rivalry and we really look forward to playing FCM Portland. We consider these “derby” games as our most important of the schedule and we want to win. There can be some interesting history between our players and staff, which can add some layers to the match up. Having a rival team helps us both. We tend to get our best attendance when we play each other. It also helps to keep travel costs low when you have another local team. Qualifying for the US Open Cup is a goal of ours in the future. We want our players and staff to have the opportunity to compete in the tournament. Financially, the costs are dependent on if you host the matches or if you have to travel. For instance, if we were able to host a home match against a professional team, it could be great for us financially. If we ended up having to travel for multiple matches it can be expensive. It is something you have to be prepared for. Soccer is interesting, in that it can be very politically charged at times, sometimes it’s the fanbase and sometimes clubs are well-known for taking a stance on social issues. Does PDX FC lean one way or another; are there things you'd like to be doing in the community if given the resources? Besides playing soccer, how can clubs make their communities a better place? We don’t have an interest in affiliating with any particular political party. We aim to provide opportunities for both players and supporters to be a part of our team, whatever their background may be. We very firmly believe the game should be accessible to all. When we select our roster, we pick the best players available. It doesn’t matter about your financial background, where you were born, ethnicity, age or what college you attended. Clubs can make their communities a better place by giving their players and supporters a sense of belonging. When working with young adults and youth, you can help them develop a strong sense of identity. Ultimately, you want the club to have an infrastructure which can provide a path for success to your players. At the moment, we are able to completely fund our NPSL team without collecting any fees from the players. In the future, we are interested in adding a U19/20 team that would be funded as well. This could be a game changer for elite youth players whose families can’t afford the often-exorbitant costs of “club” soccer. We think these kinds of initiatives are important to grow the game in the USA.